When you are typing a text on your laptop and your thumb accidentally brushes the touchpad, this leads to change the position of the cursor in your document and you need start typing again and again. 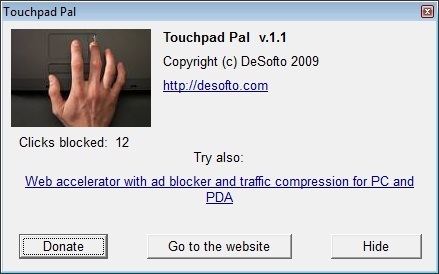 Touchpad Pal is utility for Windows XP/Vista/7 that solves this problem. It will automatically disable touchpad when you are typing text. The program is distributed as freeware, but donations are welcome.